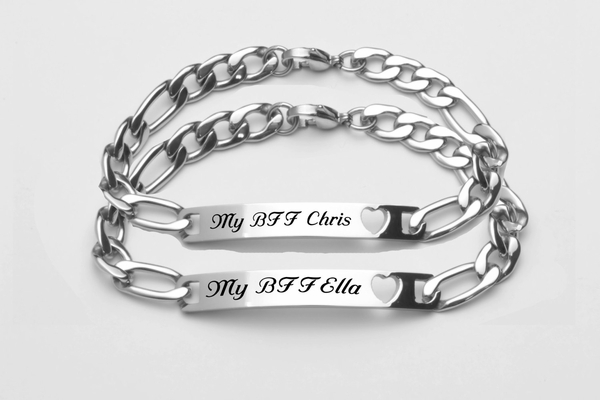 Engraved Silver Best Friends ID Bracelet Set Personalized just for the BFF'S or Sisters. This monogrammed best friends bracelet set is perfect for any friend who would like something memorable gift. These beautiful and meaningful bracelets signify love for friends or sisters, whether you are together or apart. It is the ideal present for your anniversary, Valentine's Day or Christmas; or just to remember.